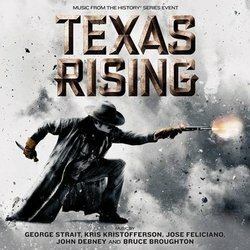 The soundtrack to History Channel’s highly-anticipated “Texas Rising” mini-series releases to all digital retailers on May 19. The compilation includes recordings by George Strait, Kris Kristofferson, José Feliciano, John Debney and Bruce Broughton. Quintessential Texan and iconic singer/songwriter George Strait delivers original song, “Take Me To Texas,” written by Shane McAnally and Brandy Clark, while another Texas son, Kris Kristofferson, remade the Tom Petty classic, “I Won’t Back Down” for the project. International guitar virtuoso José Feliciano contributed the original piece “Igual Que Yo” created specifically for “Texas Rising.” The remaining titles on the 28-track album are instrumental score by Academy Award-nominated composer John Debney and ten-time Emmy Award-winning Bruce Broughton. 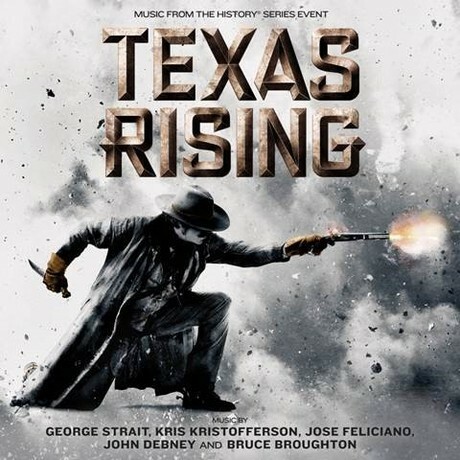 The first time for both composers to work in Nashville, Debney and Broughton fully created the “Texas Rising” score at the famed Ocean Way Studios on Music Row. From the same creative team behind the multi-Emmy Award-winning, record-breaking “Hatfields & McCoys,” “Texas Rising” is a ten-hour, five-part event series depicting the Texas Revolution and the rise of the legendary Texas Rangers – set to air beginning May 25 on History Channel. The all-star cast includes Kristofferson as Andrew Jackson, Bill Paxton as Sam Houston and Olivier Martinez as Santa Anna.